What a piece of paradise. Easter Island, or Isla de Pascua, or Rapa Nui as it is known locally, is so far out in the Pacific Ocean, that it was no surprise to me when Google Maps struggled to find it. But LAN Airlines know exactly where it is, flying there only once a day from Santiago. We arrived at noon on Saturday, and spent the next 48 hours exploring the island with our guide Marcelo, owner of Kaimana Inn and Restaurant. For the first afternoon, and all of the next day, we saw most of the 168 square kilometres of the island, including sunrise, sunset and a traditional polynesian show. Oh, and a few volcanoes, but fortunately not the famous, currently erupting one! I won’t admit how many photos I took, but this is my biggest set yet. And if you’ve taken the time to view this post, I encourage you to go the distance until the very end! I couldn’t fit these shots into the first post, but didn’t want to miss them out, either. 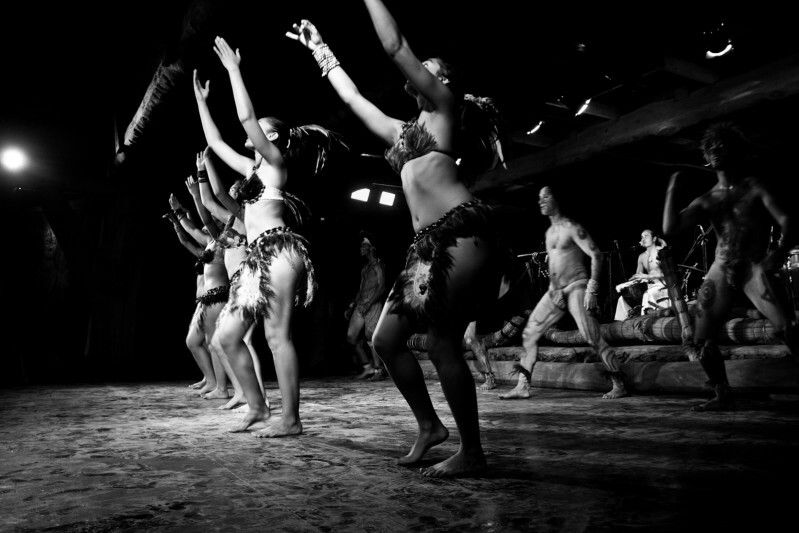 The local polynesian show we saw was excellent – full of energy, strength and colour. I took the colour out, though – the bright yellow, green and red lighting wasn’t doing them justice. Enjoy the show!